Famitsu recently published a couple of interviews with Shu Takumi, the creator of Ace Attorney. In case you missed it, we posted the first part here. We’ve also been working on a translation of the second interview, which was much larger in scope. Due to the length, we’ll be posting it in two parts. Below, you can read up even further on the creation of the Ace Attorney series. Takumi talks about what the first game’s prototype was like and the team initially thought that development could have been suspended, how Maya and Mia got their roles, and more. You can read our latest translation below, but if you haven’t played the series, you may want to pass on it for now due to some light spoilers. Last time we talked about the birth of the series. This time I’d like to ask you for some secrets mainly to do with the development. First, what was the most important thing for you when making Ace Attorney? Takumi: For sure it was that element of mystery. The key thing was to create an alluring mystery in the cases for the player then goes on to solve. Within that there are also the factors of character and drama, but first and foremost was always that mystery. And then from a writer’s perspective the interesting thing is that I was never really sure how exactly it would turn out. But then while I was chasing that sense of mystery and developing those characters it would suddenly hit me: this is how it will end! I think for a writer that feeling is true bliss. What’s important in creating those intriguing mysteries you were talking about? So even in cases where you don’t sit and exhaustively think about the plot… there’s still a chance they can end up being great. How do you come up with your ideas? Takumi: Honestly, every case is different. For the first game I took all of my favorite contradictions, listed them up and then started from there. Stuff like: even though the victim ate steak on the bone, the bone is nowhere to be found. Because I used up all of those by the second game I had to change my approach, thinking first about how to make the story impactful before I thought about what tricks I could use. Whether it’s something crazy like a murderer who has been taken over by a spiritual medium or a magician who is skilled at killing while floating in the air, those classics mystery tropes had a big influence on these games. I focused on reading mystery writers like Souji Shimada and Yukito Ayatsuji and others of that golden generation that used these grand twists until I was dizzy. As a mystery fan those held a huge appeal for me. Aside from those I would occasionally be influenced by something I saw in a drama or movie. Out of those influences, are there any that particularly spring to mind? Takumi: I could go on forever! (laughs) But especially important were the Father Brown series of novels from the west and domestically the Aai Ichiro series. Because they have this strong focus on humor, illusions and miraculous logic, it’s like they take place in an alternative world. For television drama it could be Columbo. Also, for something that influenced the style of the series, I would say Perry Mason. That’s the story of someone who investigates, takes testimonies, and gathers evidence all by himself. Then he stands in the courtroom to expose lies and defend the innocence of his clients. When I was first planning Ace Attorney my initial idea was to have the protagonist be a private detective. I thought of this game with a lone-wolf detective who would eventually track down the suspect and drag the truth out of them. But then the lawyer Perry Mason came to mind and that idea of a courtroom drama came with it. You would be fighting other lawyers to protect your client and there would be a judge present as adjudicator, as well as those in the stands going crazy. That really suited the series as an arena for battle. In real life the audience isn’t really supposed to be so noisy, but that is also one of the interesting parts of Ace Attorney. (laughs) So your idea for a logic-based defender of truth came from your love of mystery stories. Takumi: Yes, but going from the birth of that concept to the current game system was no easy thing. The prototype we came up with was completely different in style. The biggest difference was the trial part where you had to discover the one contradiction throughout the whole trial and point it out… to put it simply, it was super difficult. Whereas in the current game you have the feeling that even if you are missing a part of the evidence you can still piece everything together. Takumi: The original play testers just didn’t know what to do from the outset, and they all ended up feeling lost until they got game over. Everything just felt kind of disjointed. At that point we just thought, ‘this is useless’, and at one time we were on the verge of having development suspended. Takumi: At the time I just couldn’t see us finishing the game. Then one day everyone was called into the meeting room and our boss of that time told us that they would suspend development. Takumi: Later on I heard that those words were just to make us realize the danger of our current situation. But at the time everyone was really depressed. There were even some people who cried, and I felt like my heart had been broken. But somehow we had to get back on our feet. So we went through the faults of the prototype, fixing them all one by one. We added a set interrogation time with a prompt so the user knew when it was time for their deductions and also restricted the evidence to five items. So it was clear when certain actions could be used, we had commands appear on screen. When we brought forward all of our proposed changes it was decided we would go ahead. But that was definitely a close call. So it seems like you went through a lot of trial and error before you got to the current system. Do you have any recollection of similarly tough times when coming up with the stories? Takumi: It’s tough every time. I remember the first game being like walking a tightrope. What do you mean by ‘walking a tightrope’? Takumi: When I was writing the scenarios a lot of team told me that it would be more interesting if all of the episodes were somehow connected, but I was like: “it may be more interesting, but it’s impossible.” But then one day I suddenly saw a thread connecting the pasts of Phoenix Wright, Maya Fey, and Miles Edgeworth. That was the first of two times that I had received something like divine inspiration during development. So it was like you were walking a tightrope waiting for that moment of divine inspiration. Takumi: Even though inspiration sounds a bit too grand, that was definitely the kind of impact it had at the time. 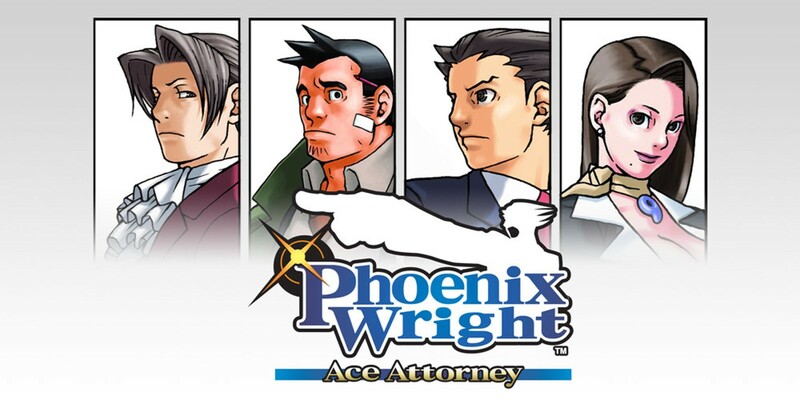 Originally there was no plan for involving the trial from Phoenix Wright’s time in elementary school, but the designer then told me that he really wanted to know the reason Phoenix decided to become a lawyer, so I went back and added it. By the way, this episode is based on a real experience that I got caught up in, but because there was no young Miles in my class, the scene ended with a lot of bitterness. Anyway, I incorporated that episode for Phoenix and everything fit together quite neatly. At first I thought it was amazing, but then I had to re-write a lot of the stuff I had already written. Besides, I wasn’t originally sure whether or not I could write a story of such scale, and I couldn’t do everything I had planned. This was my first time writing scenarios and I started to get behind deadline. For the last case I had to ad-lib a lot of the story. So I think it’s something of a miracle that it became a proper game at all. When I compare it to the following games, the time I had in the end was pretty compact and with the limited skills and experience I had then, I was constantly panicking that I would never finish in time. Well, at least it all turned out alright in the end.